Phosphorylation of proteins and lipids is a hallmark of the signaling or metabolic status of cells. A cocktail of five phosphatase inhibitors for the inhibition of acid and alkaline phosphatases as well as protein tyrosine phosphatases (PTPs). 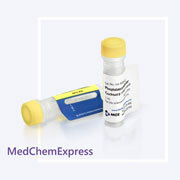 Suitable for use with cell lysates and tissue extracts, including samples containing detergents. 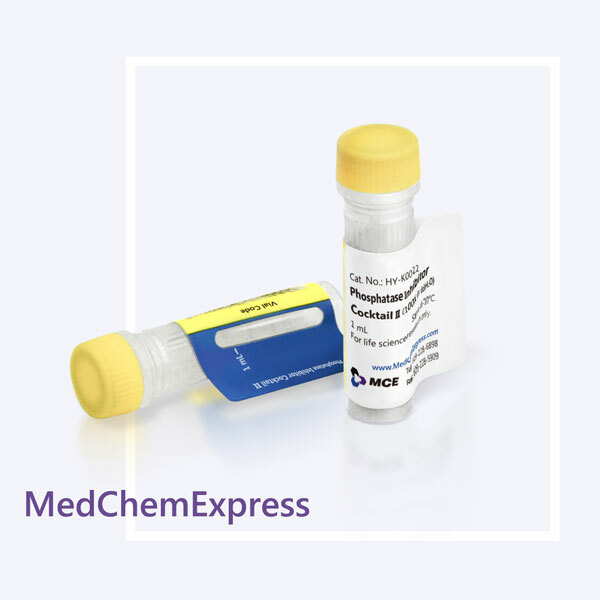 Provided as 1 ml vial containing the following components: Imidazole (200 mM), Sodium Fluoride (100 mM), Sodium Molybdate (115 mM), Sodium Orthovanadate (100 mM), and Sodium Tartrate Dihydrate (400 mM). Phosphatase Inhibitor Cocktail II has been optimized and tested for mammalian cell and tissue extracts. This cocktail is supplied as a ready-to-use solution in ddH2O. • ACS Appl Mater Interfaces . 2018 Mar 28;10(12):9916-9928. • J Cell Physiol . 2018 Sep;233(9):7067-7079.